On March 31, MIT Architecture and Engineering Professor John Ochsendorf orchestrated a chorus of construction workers, students and faculty armed with sensors, monitoring levels and laptops to achieve an engineering feat traditionally reserved for mathematical models and ancient Roman aqueducts. An expert on masonry vaulting structures, Ochsendorf conducted the crew to lower an elaborate scaffolding system supporting a 190-ton granite monument millimeter-by-millimeter. After eight hours of tedious calibrations, the massive central keystone on the Sean Collier Memorial in Cambridge, Mass. was supported by the force of five half-arches anchoring the structure — an engineering effort as equally head-scratching as the millennia-old Roman vaults. The 11-foot tall monument is a fitting tribute to the MIT police officer killed in active duty after the Boston Marathon bombings two years ago. 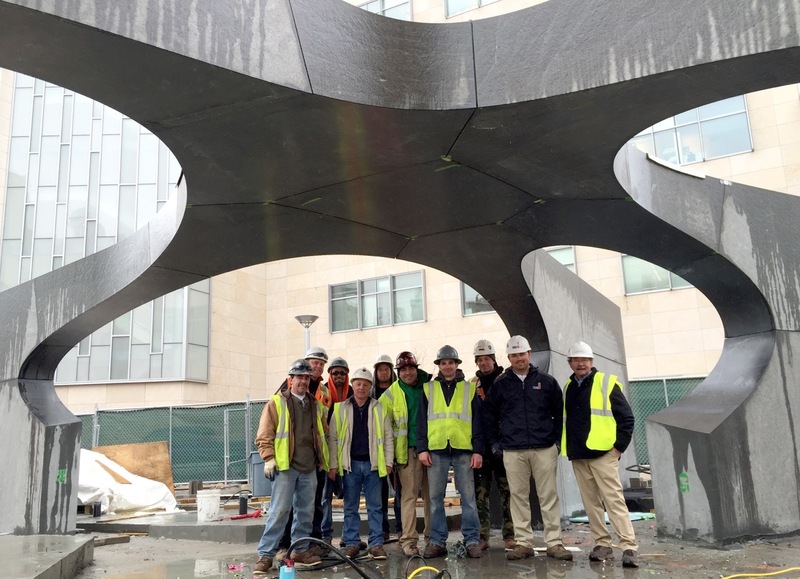 The Collier Memorial evokes an open hand covering a fist to not only symbolize strength through unity, but also to create a void underneath the arches that represents the loss of the patrol officer shot by the Boston Marathon bombers. Located on Vasser and Main Streets near the site of Collier’s death, the memorial that features 32 solid granite stones was officially dedicated and opened to the public during a ceremony and picnic on Wednesday, only a year after the project commenced. The five granite walls with half arches connect to a central keystone to form the shape an open hand. The light pattern recreates the constellation configuration from the night Collier was killed. Click here to watch the full “Making of the Collier Memorial” public lecture. From the start Yoon insisted on a self-supporting structure, a tall order considering such a task is not only costly, but also more difficult than a jigsaw puzzle to solve. But solving problems is what MIT does best and Ochsendorf and his students had been studying self-sustaining vaults for 15 years before Yoon tapped them for the project. The school’s Sean Collier Permanent Memorial Committee guided the effort while Knippers Helbig Advanced Engineering, McPhail Associates, Nitsch Engineering, AHA Consulting Engineers, landscape architects Richard Burck Associates, and Horton Lees Brogden Lighting Design all contributed. Stone fabricator, Quarra Stone, and stone installer, Phoenix Bay State, also proved crucial in making the monument self supporting. 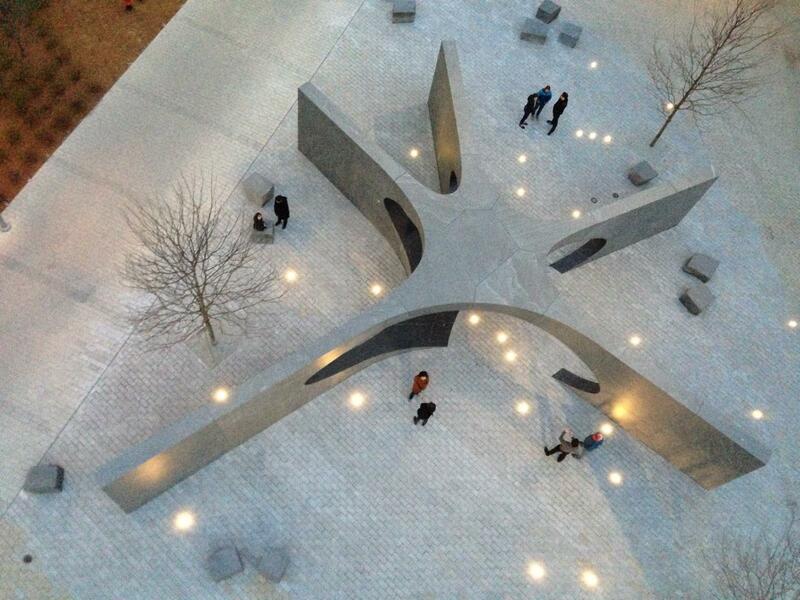 Click here to watch MIT’s video on the making of the Collier Memorial. Although computer simulations ensured the monument could withstand earthquakes much larger than New England has ever felt, about 70 stainless steel dowels were grouted into the stones for liability purposes, but only after the structure supported itself for about 24 hours. “I said all along I would trust it enough that I would be willing to put my children under it without steel pins,” Ochsendorf said. 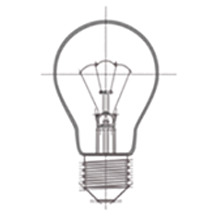 The added structural support in no way diminishes the world-class innovations MIT implemented. 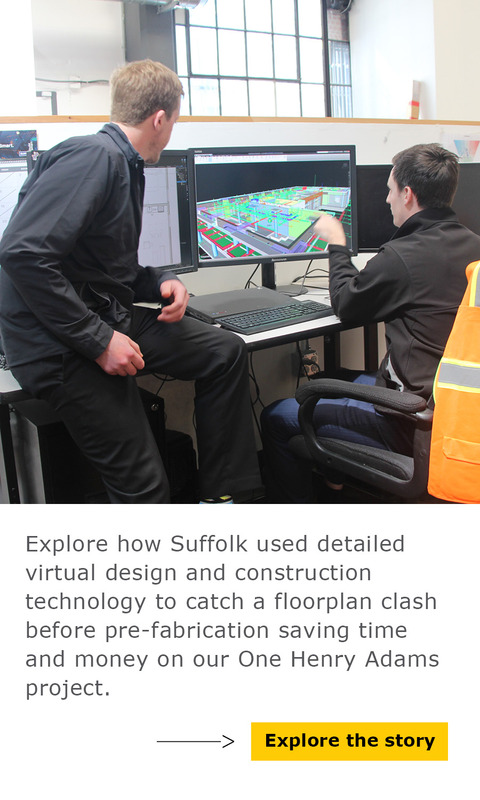 Every tool was leading edge, from the custom software applications to develop and engineer the memorial to the 3D models used to plan the construction sequencing. Additional software and gauges were used to determine the force and weight of the structure. The 32 midnight black mist granite blocks were hand picked from the Virginia Mist granite quarry. The massive rocks were trucked to Quarra Stone in Madison, Wisconsin to be carved with a computer-controlled saw and robotic arm to create the curved arches. Back in Cambridge, traditional crafts and trade skills were used to install the sections after they were craned into place on site. The individual stones also had to be tented during a winter that saw a record-breaking 110.3 inches of snow. Engineers placed 10,000-pound scales under the temporary scaffolding so they could see in real time just how much weight the structure took on while the scaffolding was slowly removed. As the scaffolding was dropped one-hundredth of an inch at a time, engineers checked if the weight on the scales reduced; the less weight on the scales meant the monument was supporting more of they keystone’s weight on its own. “They were cheering like the Patriots won the Super Bowl all over again,” Ochsendorf said of his colleagues’ reaction to the movement on the scales. Ultimately, the monument supported 96 percent of the keystone’s weight after the scaffolding was dropped 22 times. The keystone settled 6 millimeters after the scaffolding was removed, just within the 5 to 15 millimeter range the engineers deemed to be sustainable. 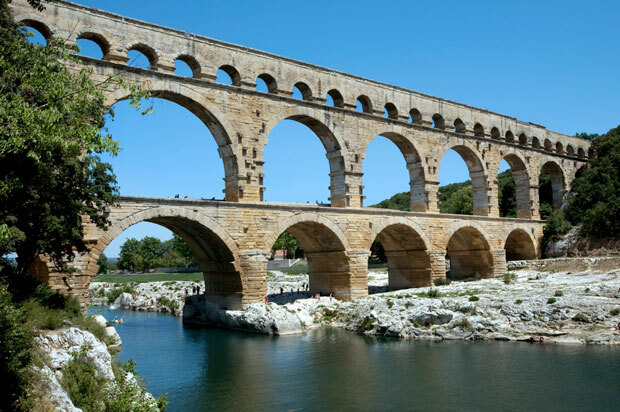 MIT Prefessor John Ochsendorf and his students have spent the last 15 years studying self-supporting arches such as the ancient Roman aqueducts. 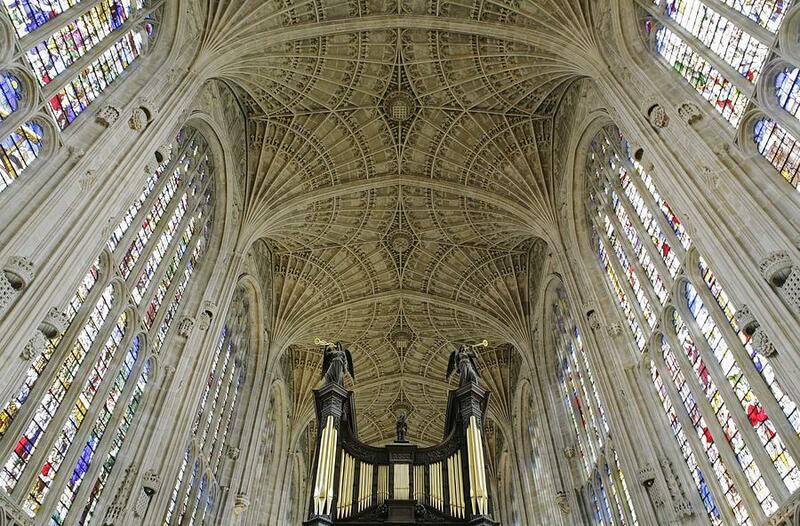 Ochsendorf and his team also studied the famous King’s College Chapel in Cambridge, England. A Suffolk Construction employee, Rogers served as the project manager for the memorial and said working on it helped the healing process. Speaking at Monday’s lecture he noted that since his brother’s death he has had the opportunity to meet President Obama, toss the first pitch at Fenway Park, wave the Bruins flag on the ice after they won the Stanley Cup and run the Boston Marathon. He has also met police officers from all over and many of Collier’s friends. This post was a collaboration between Justin Rice and Rob Rogers. If you have questions, Justin Rice can be reached at jrice@suffolk.com or follow him on Twitter at @JustinAlanRice.